The Regiment was formed on the 27th of February 1860 when the first Governor of Queensland, Sir George Ferguson Bowen proclaimed and approved the Rules and Regulations of the Brisbane Mounted Rifles. In 1864 the unit was renamed the Queensland Light Horse. Under the 'Defence Act of 1884' there was a reorganisation and the unit name changed in 1885 to Moreton Mounted Infantry. In 1891 the Shearers Strike occurred in Queensland and a State of Emergency was declared. The Queensland Defence Force was called-out to re-establish and maintain civil order and discipline. One of the units called-out was the Moreton Mounted Infantry. The troops were placed on full time duty for five months and served in the Barcaldine, Clermont, Longreach and Charleville districts. One of the Mounted Infantry officers who served at this time was Captain Harry George Chauvel - later to become General Sir Harry Chauvel. As the strike wore on the light horsemen found themselves deployed on patrol in western Queensland for weeks on end. To maintain their mounted skills they took to chasing the emus that abounded in the region. To prove their horsemanship the light horseman were required to 'pluck' the darker and smaller chest feathers of the emu while riding alongside it in full flight. The troopers would then place the feathers in the puggaree of their felt hats. When they returned home after the strike the Queensland Government allowed the Mounted Infantry to wear the emu plume in recognition of their service during the strike. At first it was solely a Queensland decoration, but in 1903 the privilege was extended to Tasmanian and South Australian regiments and finally, in 1915, to all the regiments of the Light Horse. It was also at this time that the emu was incorporated in the unit badge. In 1897 the Mounted Infantry were reorganised as the Queensland Mounted Infantry consisting of 11 companies. By 1901 the Queensland Mounted Infantry had been organised as a Brigade of four Battalions of some 20 companies with strength of 1200 officers and men. On the 10th July 1899 the Premier of Queensland, the Honourable J.R. Dickson, offered troops to help Great Britain against the Boers in South Africa. This was the first offer of assistance made by any of the Australian Colonies. It was accepted and one company of Mounted Infantry was detailed for duty. In October 1899, the 1st Contingent of the Queensland Mounted Infantry (QMI) enlisted, outfitted and trained for service in the Boer War in South Africa. On the 28th of October 1899, the QMI marched through the City of Brisbane before departing for the War on the 1st of November 1899. On New Year's Day 1900, a number of four man horse mounted reconnaissance patrols were scouting to the front and flanks of the main body to prevent an enemy ambush. Lieutenant Aide led one of these patrols consisting of Privates Herman, Butler, Rose and Jones. While riding along in open country, the patrol saw four Boers riding on their right. As Lieutenant Aide audaciously ordered the Boers to surrender twelve more enemy soldiers appeared and opened fire. Private Victor Jones was shot and died instantly. Lieutenant Aide was shot twice and his horse killed from under him. As the rest of the patrol came to his rescue, the Boers wounded another soldier and killed his horse. The small patrol struggled back to the main body in time to join the attack that was to become known as the Battle of Sunnyside. Amazingly, they had prevented a Boer encirclement. The major significance of this event is that Private V.S. Jones and Private D.C. McLeod, killed in Battle of Sunnyside, were the first Australian soldiers to die in battle. In the period following the Boer War the State forces were amalgamated to form the Commonwealth Military Forces. In the changes all cavalry and mounted units were converted to Light Horse; the four battalions of the QMI were reformed as the 13th, 14th and 15th Australian Light Horse Regiments (Queensland Mounted Infantry). King Edward VII awarded a King's Banner to each unit that served in the South African War and in 1904 each of the three Regiments of the QMI was represented in Melbourne where the Governor-General presented the banners. 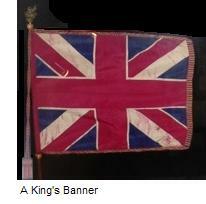 In 1908 each regiment was further awarded the Battle Honour "South Africa 1899-1900-1-2". Courtesy of 2/14 LHR (QMI) Website, provided by Tony Millers . About as handy sort as I have seen. And he's over here a-fighiing for the Queen. He's Queensland Mounted Infantry-compounded 'orse and foot. He'll climb a cliff or gallop down a flat. He's cavalry to travel but he's infantry to shoot. And you'll know him by the feathers in his hat! Like the contingents from other states, the first despatched by Queensland was ordered to be raised from officers and others serving in the local defence forces, namely 250 of the Queensland Mounted Infantry, and a Machine Gun Section from the Royal Australian Artillery (Queensland). Lieutenant Colonel Ricardo, who commanded the contingent reported that out of 262 all ranks enrolled, 123 were then serving in the QMI, 126 had seen past service in the QMI, 93 were recruited from outside. Of this number 25 were volunteers from A Battery RAA, the others who said they were or or had been members of the Queensland Defence Force. The contingent departed from Brisbane on the transport Cornwall on 1 November 1899, landing in Cape Town on 13 December 1899. They then proceeded to the Orange River in two trains. Private Conway Drew was a member of the contingent (A (No 1) Company), he recorded what happened (there are three sets of handwriting, the latter part, including the fantasy were most likely written by Private William Fox). What follows are with a little metric conversion, spelling and grammar correction, their words. Tuesday, 27 December 1899. I have just come off the outline picket no mistake about the game it is soldiering in reality, you stand on top of a stony ridge called Kopje for 4 hours without a move, if any attempts are made to come near you, or to cross the river, you shoot at once, however nothing especial occurred. I had my photo taken with another chap a mate of mine. this morning, and also with a group of Kaffirs (blacks) the latter which I believe will appear in the Queenslander. From all reports there is going to be lively time coming at Kimberley soon, as the British is closing in on the town, the signals by flash-light can be plainly read here although it is 100 kilometres away. There are trainloads of soldiers leaving here every day for the centre of the fight. We Queenslanders] have managed to catch a lot of cattle, every day since we have been here, from the Boers. Our horses are getting on all right now they seem to be getting used to the climate. No stamps are available here and our letters are sent free if marked on "Active Service". This afternoon we had a mounted inspection in marching order, before General Wood, who addressed us after and said that he was very well satisfied with us - that we had the look of men and that we made the best of Fighting men in the Army, and that he expected a lot from us wether in camp, on march, or on the battlefield and that he was very pleased to have us from that time forth under his command. To night we received orders to strike camp tomorrow morning and be mounted, and ready for march, it is expected for Belmont and everybody is looking forward, to have a go at the Boers in a day or so. Wednesday, 28 December 1899. We started to-day for Belmont, on horseback, with a strong patrol of Shropshire MI and 6 Remington guides being joined by 3 ambulance wagon from the NSW Army Medical Corps who are now attached to us , as well as our own wagons driven by Kaffirs and pulled by about 16 donkeys, so altogether we made quite respectable procession, we rode in a dust storm and you could not see your hand before you, so to speak. We arrived after dark at a farm-house, where we did not receive any tea. The farm houses here are not like they are in Australia, here they are like mansions, and every thing is up to-date. There are very few fences. Stone being used instead of wood. Thursday, 29 December 1899. We were up at 4 o'clock Friday morning, we had no breakfast. As we were near Belmont we could see the results of the 1st Battle of this war, by the number of dead horses. scattered in every direction. The guides pointed out every position occupied by the different forces. When we arrived in Belmont we found that the Canadian volunteers to the number of 1,000, were camped around the kopjes surrounding Belmont. Dead bodies of Boers are found among the rocks and they smell something horrible, and they are burning the bodies as the find them. The casualties were 600 killed. The town consists of a railway station, store, post office, and one cottage; all full of bullet holes. The cottage has several bricks missing due to shelling. Of immediate concern is that tomorrow we Queenslanders, and the Canadians are going out 65 kilometres to fight 600 Boers tomorrow. They are are in a very strong position on a kopje and it will be a difficult matter to rout them, but everyone is willing, I hope we will beat them, no one else has the slightest doubt. I wish good-luck to all. Friday, 30 December 1899. We left Belmont, we Queenslanders with a company of Mounted Fusiliers, two 12 pounder guns, two Canadian Maxims and our own two Maxims. We were about eight kilometres out of Belmont when we were ordered to return. It seems there were two suspected spies in the camp. When we left the town, they were seen to leave too, to report to the Boers that we were coming. We returned to camp. Saturday, 31 December 1899. We left Belmont again, arriving and camping at a farm some eight kilometres from the Boer position at 1 o'clock in the afternoon. Sunday, 1 January 1900. We all wished each other a Happy New Century. We knew there would be some hard fighting done today. 1. Take a tip from the enemy, when you stop throw up breastworks and don't forget to cover the front with grass and bushes. 2. Go down when ordered and do not hesitate. 3. Take all the cover you can and do not expose yourself to the enemy. 4. Do not try to help the wounded when you are under fire. 5. Do not approach the firing line mounted on horseback. 6. Remember that the Boers are a wily foe, do not trust them or they will lead you into a trap. As we advanced, a patrol of the enemy was seen. We dismounted, A Company (my company) advanced under cover. Lieutenant Aide with Privates Butler, Jones and Rose scouted forward. Some 20 metres from the party a group of Boers emerged from the tall grass. They fired. Lieutenant Aide was shot three times and is not expected to live; Jones was shot dead (the first Australian soldier to die in battle); a bullet grazed Butler's head; two horses were shot dead. Our guides captured Commandant Schultz commander of the Boer detachment. We found the Boer camp at the foot of a kopje, they were at dinner when they saw us and quickly ran up the hill. The two 12 pounders and the Maxims took up positions to the right, the Fusiliers to the left. The artillery opened fire at 10 past 11 o'clock while we crawled through the tall grass to the foot of the kopje. At 11:30 we were ordered to charge, the slope was almost perpendicular with quite a few rocks. When we reached the top of the hill, the Boers wre not in sight, only some puffs of smoke from behind rocks revealing their firing positions. Private McLeod of B Company to our left fell seriously wounded. His falling inspired us, we charged with bayonets fixed. Bullets whistled around our heads like hail, our own Maxims were firing at us in error. The Boers seeing there was no go threw up a flag of truce, we surrounded them. I had never seen a more ragged crew, some had no boots on. We destroyed their arms and ammunition and took 44 prisoners. The rest of the force was not aware of our charge, a few Canadians made it to the top of the hill after the Boer Surrender, the victory was ours, the place was called "Sunnyside". There were 17 wounded Boers, we dressed their wounds, 17 had been killed. We took their horses, looted and burned their camp and wagons. The Boers were dressed as civilians carried a bag to hold ammunition and were armed with Martini-Henry rifles. In the camp we found fine clothes and jewellery. Real Boers do not speak English; the enemy were men of all nations, in one tent we found a Bible and books in English. The battle had lasted five hours. I was in one of three groups sent to bring forward our transport. When we returned we found our fellows camped at a Boer farmhouse. We ate well, killed twelve goats and sheep, made a clean sweep of the poultry, fed our horses on the framer's hay and eventually made off with his cattle and horses. I can honestly say it was the liveliest new years day I ever spent. Monday, 2 January 1900. We pushed on to a small town called "Douglas" which the Boers had been holding for two months. They had been treating the inhabitants like slaves. When we entered the town some of the inhabitants told us that the Boers were going to shoot the men, and turn the women and children out. Goodness knows where they would have gone. The Boers had all their horses. When the Boers heard our cannon fire, it stopped them from doing this dirty work. When they knew we had won they quickly escaped, the last of their wagons going out one way, as we came in the other. The townsfolk received us with a good hearty cheer, when they saw us coming they quickly cut down the yellow Boer flag and ran-up the union flag. There was a lot of dynamite and ammunition (200,000 rounds) in the court house, it took a lot of men two hours to remove and destroy the hoard. Two of us were sent to destroy a pontoon bridge and guard it overnight. This we did, capturing eight prisoners and two watermelons from a garden, the sweetest watermelon I have ever tasted. Tuesday 3 January 1900. At daylight the troops looted the town for anything they wanted - silk handkerchiefs, pipes and things like this. When we left the town, the citizens left with us as refugees. They sat in the transport wagons, ambulance wagons or anything else available. The went on to Belmont. We returned to Sunnyside neat the spot where we had the fight. Wednesday, 4 January 1900. We camped at the farm of a loyal English settler. While in camp a very unpleasant incident occurred which I do not like to relate. Some of the troops got into the Settler's garden and helped themselves to his fruit, he complained to Colonel Pilcher. The colonel watched the garden and caught some of our chaps and members of the Duke of Cornwall's Light Infantry in the act of thieving. He called on them to halt. The colonials did, the Englishmen bolted. He gave chase but was not fast enough. When he returned the Queenslanders had also vanished. He called all the troops together and asked the culprits to own-up. No one did. Telegrams poured in congratulating us for the work we had done at Sunnyside; one was from Queen Victoria, others from various British generals. Colonel Pilcher gathered us on parade and read them out. It was a great lift for our spirits. Next he brought forth all of the prisoners we had captured. The four ringleaders were handcuffed, these I expect they will shoot as they are neither Orange Free Staters nor Transvaalers. Lieutenant Aide is much better now and there are hopes he will recover. Poor McLeod dide soon after the fight and was buried near where he fell. Bugler Morris who had broken his collarbone when his horse tripped and been sent to the Orange River Hospital re joined us. Thursday, 5 January 1900. We set out on a forced march to engage a force of Boers. It seems sone 1,500 Boers from Modder River were marching to cut us off from Belmont. We started our march at 9 o'clock and rode 'till half past 2then camped until daylight. Friday, 6 January 1900. We pushed on to Belmont arriving at 0900. Soon after we arrived, we received an alarm and mounted to engage a Boer patrol some 5 kilometres distant. No enemy was found. There is a rumour that the Boer force of 1,500 is advancing on Belmont. The ostriches are very tame, you can walk up to within two metres of them. The Kaffirs walk up to them with their whips, throw the lash around their necks, and pluck their tail feathers. There are springboks around the camp, and baboons, very comical creatures. We expect to move on to the Modder River in a day or so. A Company is going out tomorrow as a strong patrol to see where the enemy are. Saturday, 7 January 1900. We attended Divine Service this morning. Sunday, 8 January 1900. All of the troops in Belmont were paraded before Colonel Pilcher this morning. He told us that some of the things looted on the last expedition would have to be paid for. He also told us that another contingent of the QMI was leaving for South Africa next week. Good luck to them, I think the war will be over by the time they arrive. We are going to have a tug-of war, and play Rugby against the Canadians tonight. We have not received our tinned Duff or Chocolate. Monday, 9 January 1900. A flying column consisting of the QMI, a company of Canadians, two 12 pounders, four Maxims and a company of the Duke of Cornwall's Light Infantry went 30 kilometres into the Free States and looted a Boer Commandant's house. A fine bicycle was in the booty. Some of our scouts reported they had been chased by a group of about eighty Boers. We were ordered to advance dismounted in open order toward the kopje the Boers had been seen to ride off behind. As we advanced our guns deployed to the right. The guns has un-limbered and layers were taking sight when two of the "Boers" rode up. They were members of the Victorian Mounted Rifles, wearing their Australian broad felt hats, they had been taken for the enemy. Bye and bye I understand we are all to be issued with helmets. That night we camped at the Commandant's farm. Tuesday, 10 January 1900. We packed up our booty and set-off herding the captured horses and cattle back towards Belmont. Again we encountered what was thought to be enemy, this time it was the 9th Lancers. The Boers reported camp near the Commandants farm had obviously faded into the countryside successfully evading the three British forces sent to find them. We arrived safely at Belmont without further incident. Wednesday, 11 January 1900. Lord Roberts is due to arrive from Cape Town tomorrow. The Canadians have given the QMI an invitation to go to Canada at War's end. Tonight I was on outlying piquet with my friend Drew (known to our comrades as "Foxy, Drew and Company") at the Thomas farm. The farm owners had erected a fort in case there was a surprise, a great place for us guards to base ourselves. We had separate beats, but met up every now and then in the fort to have a cigarette. It was bright moonlight, you could read a letter it was so bright. I had just run into Drew when a sergeant came by, he told us to keep a good look out around the farm house. As I mentioned before the farm houses in South Africa are quite splendid. This one certainly was. We looked through a window where the blind was only partly drawn and saw a large table spread with all sorts of good things. It seemed like a glimpse of home to us two warriors who had not seen a square meal since leaving the Cornwall. Everything on the table was up to date. There was a large watermelon in the centre, some guavas grapes etc. Drew said "some of that must be ours". We decided to brest the household occupants. We marched down the hallway with our bayonets fixed and our boots making an awful clatter. We shoved the door open; you never saw a mob of people more startled. Whilst they were dumbfounded, I said "its all right, don't move, we have only come to let you know that there must not be any lights outside the house tonight, and that no-one must leave the house either". After a time Drew went outside to keep guard while I had a feed, then we swapped over. I won't attempt to describe the food as it makes me hungry to even think of it. We had a great bath there, the first since leaving Douglas. Thursday, 12 January 1900. Divine Service again. Friday, 13 January 1900. I was tailing some Boer horses we had captured, when stopped at a house for lunch a black woman hit me in the eye and blackened it. A fight with some local men followed. Saturday, 14 January 1900. I experienced the greatest dust storm I have ever seen. I also went over to the field where the Battle for Belmont took place. It makes a fellow feel sad to see the results of war. Dead horses lying everywhere along with the graves of departed soldiers most of whom were Coldstream Guardsmen. These mass graves which could hold 20 to 60 each were squared with stones. Little white stones on the grave spelt out the name of the Regiment, and were laid out to form crosses in the corners. Some of the graves had crosses made from bits of boxes with the names of the departed warriors on them. We found a helmet half full of clotted blood. It had a bullet hole through it in such a position that it must have gone right through the owner's head. I picked up a penny which I will keep as a relic. One of our chaps found a watch half buried in sand. Tuesday, 17 January 1900. There was a sports day held in the Canadian camp. All of the Australians were invited. The day started early with a football match that our chaps won easily. Then a 100 metre dash, shot putt, three legged race, egg and spoon race, wheelbarrow race, carry your rider, long jump, tug of war, obstacle,400 metres run, hop step and jump. With the exception of two races we did not contest, all were won by Queenslanders. Our tug of war team had to pull five times to win. Cigars were handed around three or four times during the day. At night we held a grand concert that went off with every success. Wednesday, 18 January 1900. We heard of the relief of Ladysmith. Thursday, 19 January 1900. The outline piquet at Thomas' farm commandeered a lot of cabbages. We cooked buckets full. They were the first vegetables I have tasted since leaving the Cornwall. The farmers here are selling their cabbages at 7/6 ($0.75) each, they are only about a good handful in size. Saturday, 21 January 1900. As soon as we arrived back in Belmont we could see that something was the matter. The Victorian Mounted Rifles and Munster Fusiliers had arrived in camp, and a rumour was going around that we would march in the morning. Sunday, 22 January 1900. Only 15 minutes was allowed for Church. After lunch we expect to leave and WALK 65 kilometres to Sunnyside. At 3 pm we departed for a 30 kilometre stage. We did not have time to fill our water bottles so the march was terrible. The sun poured down and there was dust in abundance. I am convinced we are no good on foot. About 9 pm we halted, very tired and stiff. A few hours rest then on again to Cook's farm. This stage was better as it was in the cool of the night. Monday, 23 January 1900. Arrived 0900 put a guard out, then lay down on our oil cloths and slept all day. We woke refreshed, there was a dam to bathe in and some shady scrub to lay under. About sundown we fell in and mounted guard on several kopjes commanding a view of the country around us. Tuesday, 24 January 1900. We guarded all night until 0900. Returning to our lines, we had hardly taken our arms off when a scout came in to say that he had been fired on. Orders were given to take up positions on three or four kopjes behind the dam. We had a very strong position, it would have taken an army to shift us. We spent some time in the hot sun, then received orders to return to camp, another false alarm. Wednesday, 25 January 1900. Came off guard at 1900, at mid-day was sent up the kopjes again to prepare breastworks of stone. The hill commanded a splendid view, you would think the structures impregnable if you did not know the power of shells. A kopje with battlements puts you in mind of castles of olden times. It started to rain soon after we got up there; we were wet through. We came down at 6 pm and had tea. A short sleep then back up the kopje to picquet until the morning. Thursday, 26 January 1900. Last night while on duty one of our chaps fired on his mate mistaking him for a Boer. A column came into camp. We are still on sentry on our kopje but expect to go on to Belmont to day then on to Bloemfontein. Friday, 27 January 1900. When I started to write these notes I made my mind up that no matter how hard the work was, I would not include any part of our "growling". I am going to break that rule for the first time and open up on Sergeant Majors, Sergeants, Corporals and other unnecessary evils. We have been on guard on these kopjes for 72 hours without a break, damned little water and tucker. When not on guard we are still working making tracks and the like. Enough of that for the present. It is very pleasant here at times. When the sun sinks low, there is a lovely cool breeze and you see the shadow of other kopjes stretch out across the plain. Later when the sun goes down and the gloaming comes the kopjes remind you of pyramids. You find yourself wandering how long these treeless hills of rock have frowned down on the plains. Tommy Atkins (the universal British soldier) has his dreamy moments sometimes, he is an ordinary human being even though he is seldom treated as one and not very often has time to think. Should he have the time and be allowed to take his heavy accoutrements off; he is usually in the boiling sun or prowling around after stray biscuits. This evening it is cool and the air is clear, you can see the country for miles around. From here you can see Sunnyside, the site of our first and only battle. We will always remember that kopje where we received our baptism of fire. I think can all look back on New Year's day and feel proud of our exploits. As I sit here looking at the old kopje in the distance I wonder how we went through it so coolly and with so little loss of life. To climb a kopje without arms is in itself enough to make you out of breath. To think we clambered up fully armed under heavy fire makes me feel proud. Fancy poor Jones and McLeod lying in the graves. Poor fellows. Oh well our turn may come at any time, any night. Sentries are vulnerable. It looks so quiet and peaceful now you would not think that men are doing their level best to kill one another. There are hundreds of Boers close at hand waiting their chance to kill us and we to kill them. They say that we will have a good go in a few days. That means great loss of life on both sides. The bugle is sounding retreat down in the main camp and those few soldiers not required for the piquet are laying their weary bodies down for a few hours. At 3 am they will be roused from their beds for another weary day. Oh well the war can't last forever. Those who live through it will have a good time when they return home to the girls they left behind them. Drew and I have arranged the programme for the first month or two after landing in Brisbane. We are going to buy a cask of beer and a dozen bottles of lemonade. We will take them to a place surrounded by trees, the cask and lemonade will be covered with wet bags and duly tapped; there will be cigarettes too. We will then lie back in hammocks and be served by pretty girls. So much for a night of thinking. Saturday, 28 January 1900. At 0700 we saw a signal from the camp to come down. We had some tea and a biscuit, and were just going to enjoy some rest when a scout galloped up saying that the enemy were upon us. In what seemed like an instant we were armed and formed up waiting for orders. Officers were galloping about the camp. We were stood down, another false alarm. Sunday, 29 January 1900. Nothing of consequence to relate. Same old thing. The other chaps were building breastworks on other kopjes. Monday, 30 January 1900. Left camp at 0330 to walk back to Belmont. Arrived there. The same old dust storms to greet us. One lasted for an hour and blew two or three tents down. Expect letters by tonight's mail. I will not be disappointed if I do not get any, getting used to it by now. The new horses in camp came from America, they seem a good lot. Tuesday, 31 January 1900. Went tailing horses today. Everyone says we will be sent to England after the war, and that the war will be over in three weeks. We have had the experience and done well. Wednesday, 1 February 1900. Just came off guard. We expect to leave tomorrow to join Colonel Pilcher's column at the Orange River from where he intends to advance into the Free State toward Bloemfontein. The flying column is to consist of all the mounted troops that can be gathered in this part of the country. We have just heard that Queensland intends to send a third contingent. At this point the diary tails off. We return to Murray for the rest of the story. In February 1900, the contingent took part in the Relief of Kimberley as part of Alderson's Brigade, General French's Division. Then proceeded to Koodoosrand and was employed at Paardeberg from 17 to 26 February. After the surrender of General Cronje, the contingent formed part of a mounted brigade under Lieutenant Colonel Martyr (General French's Division), and took part in the engagements at Popular Grove (7 March), the occupation of Bloemfontein (8 March) and Driefontein (10 March 1900). At Bloemfontein, the second Queensland contingent joined the first. After Driefontein, the Regiment went into rest camp at Springfontein until 31 March 1900 when two companies of the 1st contingent under Lieutenant Colonel Ricardo formed part of a relieving force at the engagement at Sanna's Post. During April 1900 the Regiment consisting of three companies along with the 3rd Imperial Mounted Infantry Regiment and the 1st and 2nd contingents of the New Zealand Mounted Rifles formed the 3rd Mounted Infantry Brigade under Colonel Pilcher. Joined with the 1st Mounted Infantry Brigade, they left Bloemfontein on 1 May 1900 when the general advance on Pretoria commenced. The regiment then took part in engagements at Brandfort (3 May), Constania (4 May), Vet River (5 and 6 May), Zand River (10 May), Klipriversberg (28 May), Johannesburg (29 May), Pretoria (4 June) and nearby Diamond Hill (11 and 12 June). After the occupation of Pretoria, strong inducements were offered to Australians and New Zealanders to join the South African Constabulary which was then being formed. Large numbers of the 1st and 2nd Contingents were transferred. Lieutenant Colonel Ricardo, considering he was left without a command corresponding to his rank, applied for other employment. This he was granted in Pretoria. He handed over command to Major Chauvel. Reformed into two squadrons, the Regiment was engaged in operations at Reit Vlei (13 and 16 July 1900) and was then transferred to Mahon's Brigade (General Ian Hamilton's Division), with which it took part in the first eastern advance as far as Balmoral (25 July), the action at Zilikat's Nek (2 August), the operations about Rustenburg (August 1900), and the pursuit of De Wet's force northwards to Warmbad, including the engagement at Oliphant's Nek (17 August). The Regiment then returned to the Eastern Transvaal and with the exception of half a squadron that accompanied Mahon's Brigade to Barberton under Lieutenant Glasgow, formed part of a mounted force including the 3rd Imperial Mounted Infantry Regiment, and 3rd Brabant's Horse, under Major Chauvel employed in minor operations in the Middleberg District including action near Pan (11 October 1900). Subsequently they joined General Smith-Dorian's command at Belfast. Early in November orders were received for the return of the 1st Contingent, horses and saddlery were handed over and train taken to Cape Town. On 13 December, they embarked on the Orient, arriving at Brisbane on 17 January 1901. 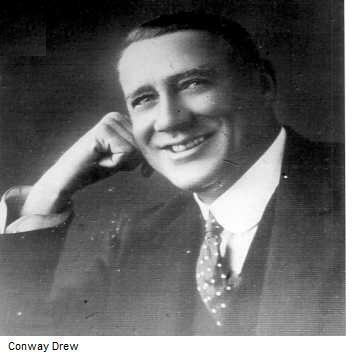 After Boer War Private Drew lived in Sydney and was a Journalist, Playwright, Author. Wrote for "The Bulletin" and was journalist, editor and reporter for "The Surf" a journal of sport and pastime. He also was for a while, a hotel owner. There than that we do not know what happened to Privates Fox and Drew, Foxy also survived the war. It would be nice to think that Foxy's fantasy of the beer, lemonade and ladies was eventually acted out, maybe in Drew's hotel. Lieutenant Colonel PL Murray, The Australian Military Contingents to the War in South Africa 1899-1902 Pages 447-449. Diary of No 45 Private Conway Lovett Drew, with a contribution by No 15 Private William Francis Fox both of the 1st Contingent Queensland Mounted Infantry. Diary held by the State Library of Queensland, transcript courtesy Mrs Constance Symons of Wangan Queensland.